turkeyetc | Words and photographs about Turkey, nature, and literature. 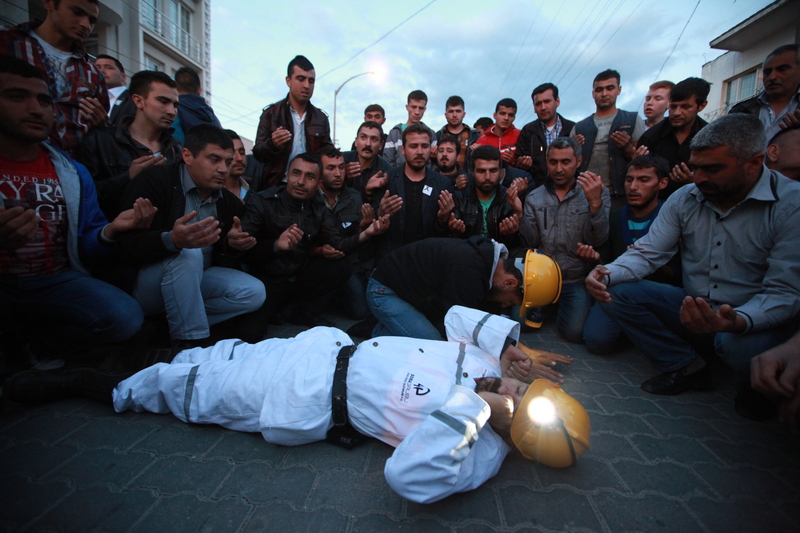 Miners protest the deaths of their friends and colleagues in Kınık last weekend. This week, almost immediately after returning from six days spent in and around the Soma region reporting on the mining accident that claimed 301 lives last Tuesday, I recorded a podcast with Aaron Stein in which we discussed the disaster, the lead up to it, the broader context in which it occurred, and its implications. What I didn’t say there, and what I’ll start by saying now, is that what was going on inside Soma’s mines should be considered an appalling travesty even without the tragedy that transpired last week. Miners have described working conditions that were tantamount to bonded labour, only a few degrees from slavery. Their safety was considered all but irrelevant when set against the imperative to produce as much coal as possible. Soma Coal Enterprises was one of these companies that sold its product directly to the state-owned Turkish Coal Enterprises (TKİ), which ran this scheme, and was one of the beneficiaries of the state privatisation of mines. After the Eynez mine, at which last week’s fatal fire occurred, was leased first to a subsidiary of the Ciner Group, which passed it on to Soma in 2005, production was boosted and costs cut, as Soma’s boss Alp Gürkan boasted in a now-infamous interview with Hürriyet in 2012. 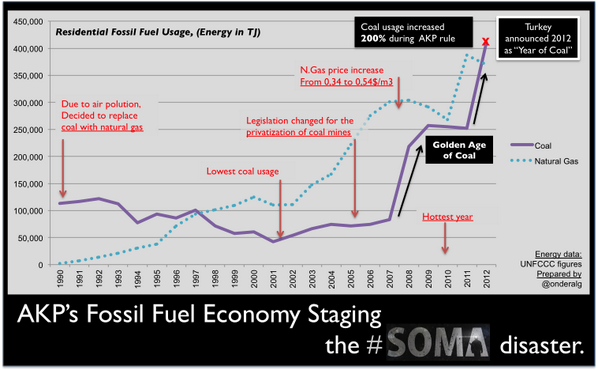 Soma’s profits soared; the state got its coal. After many conversations with miners over the past week, and after cross-referencing my interviews and impressions with those of other journalists, I can confidently assert that those advances were purchased on the hunched backs of a frightened and immiserated labour force working in a state of constant danger. The broad gravel road to the Eynez pit (Soma Coal Enterprises operates two others in the region: Atabacalar and Işıklar) winds through a landscape despoiled by open cast mining; the air around it is acrid with a smell like screeching brakes. I arrived late, and as I drove towards it, the Prime Minister’s sleek black convoy roared past in a shroud of dust in the opposite direction. In a way I was glad I missed him, because the series of extraordinary PR blunders he and his entourage committed that day have been a distraction from the more pressing issues connected to Soma. He said that on May 1, less than two weeks before the disaster, an area that had previously been sealed due to high methane levels was unsealed because it contained a particularly rich vein of coal. He said, based on conversations he had had with rescuers and other colleagues, that this was the area in which the explosion erupted. Subsequent reporting in the Turkish press has suggested the masks were in fact more than 20 years old, and had long expired at the time of the fire. Letsch also notes in her piece that miners were not provided with gloves by the company. Many I spoke to had mangled fingers or had lost the tips off them. 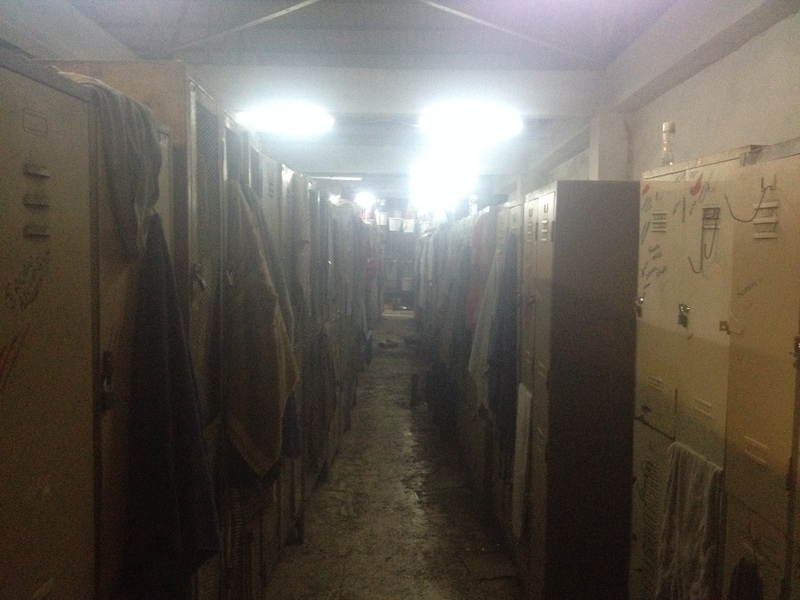 Miners were extremely inconsistent when asked about whether there was a safety refuge. Some said there were several, others said there was one, and many said there were none. This subject is to some extent moot since the company itself has admitted there was not a functioning refuge room; it’s also said, accurately, that it is under no legal responsibility to provide one. On another worrying note, two miners told told me that diesel-powered machinery was sometimes operated inside the mine. Quite appropriately, attention has turned from these safety issues to the question of inspections. How was it that the mine could operate like this? 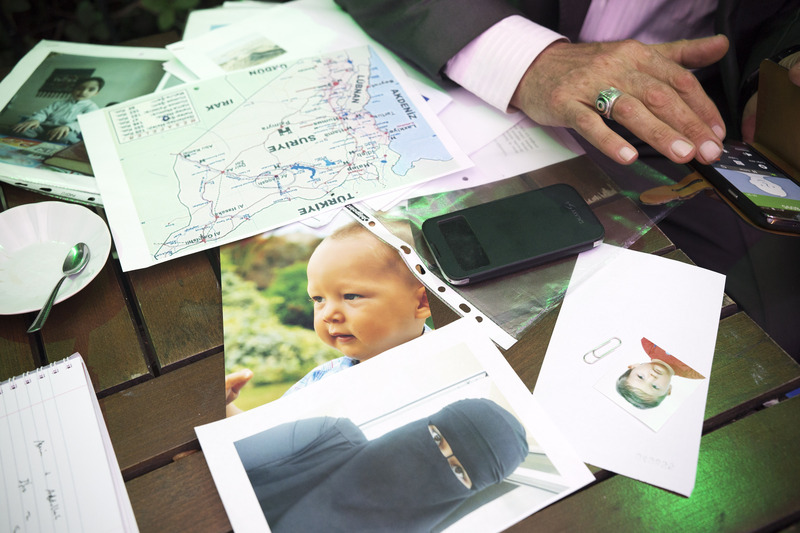 Who was responsible for overseeing it, and how did that oversight take place? On this issue, the comments of five different miners I spoke to on separate occasions were remarkably consistent. Inspections took place with a pre-warning. Most miners said they did not personally see an inspector, but knew they were coming because the mine’s major thoroughfares would be cleaned in the lead up to an inspection. No one I spoke to had actually witnessed these alleged ‘barbeques’, but reports of them were so strikingly consistent that I think they’re worth noting. Who was responsible for inspecting the mine? I have been unable to substantiate claims that the inspectors were paid by the mine itself, although I read something quite detailed about it in the Turkish press, and now infuriatingly cannot find it (perhaps I dreamt it—it’s been that kind of week). From corresponding with David Tonge, director of Istanbul-based energy industry consultancy IBS, it seems clear that the legal responsibility for inspections rests with the Ministry of Energy, via the General Directorate of Mining Affairs (MİGEM). According to Tonge, the royalty agreements under which private companies operate mines—contracted from the Electricity Generation Company (EUAŞ) and the TKI—normally specify that these bodies, which fall within the purview of the Ministry of Energy, retain responsibility for inspections. …the Energy Minister is defined in the country’s mining laws as the main body shouldering the responsibility for all mining activities and inspections for the technical and operational aspects of mines and license-holder companies. The General Directorate of Mining Affairs (MİGEM) is the institution designated to carry out inspections but there are serious suspicions over its effectiveness. For instance, a 2011 report by the State Audit Institution (DDK), which works on the instructions of the country’s president, stated that MİGEM does not have up-to-date records on how many coal mines are active across the country or which companies are running more than one coal mine. “For this reason, it is not possible to know how many active coal mines there are in the country or if those mines are operating in accordance with safety regulations,” said the report. I’m generally suspicious of Today’s Zaman reporting on these kinds of issues, but the claims here—particularly regarding the state audit report—should be very easy to cross reference and verify, though I haven’t had the chance to do so. I’ll update this post if someone looks into that and contacts me with what they find. 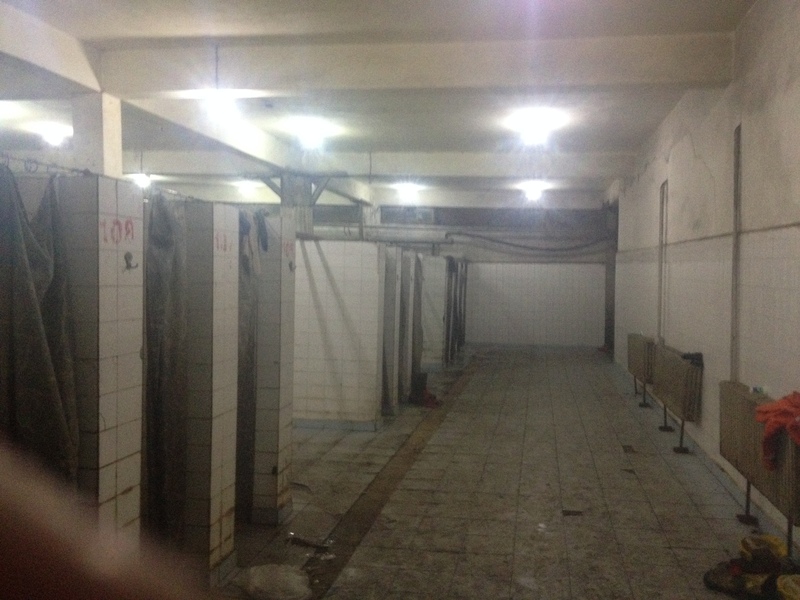 It appears, therefore, that the person ultimately responsible for the appalling conditions at Soma was Energy Minister—and freshly-minted hero—Taner Yıldız, more than the man who has been cast as the villain of the piece, Labour Minister Faruk Çelik (who may in fact be suffering from cancer, which would explain why he looks so unwell). ‘Gazi’ Yıldız, as we might call him given that some believe the “primary causes” for the Soma disaster lie in the West, has served as Energy Minister for the past five years. Neither he nor anyone else in the Turkish government has resigned in the wake of this tragedy. There is something darkly ironic about the fact that Erdoğan compared the Soma mining disaster to similar tragedies in 19th Century Britain. Listening to accounts of the labour conditions under which miners were working gave me some inkling of the indignation Marx must have felt when he saw the plight of workers in the factories of Victorian England. The taşeron system is a borderline-legal phenomenon that has grown up organically, but mushroomed in recent years in response to the more stringent labour laws the AKP brought in when it was still keen on EU-inspired reforms. The system effectively allows companies to bypass the extra costs and legal responsibilities associated with these laws by subcontracting its workforce to a middlemen, known as taşeronlar. Miners at Soma told me that a single taşeron will sign up around 150 labourers, who will then be contracted to a particular mine. The taşeronlar are paid an incentive by the company according to how much coal their team produces. Under them are the başçavuş and çavuş, foremen who run individual work teams; I believe these too are incentivised according to production, but am not absolutely sure. The taşeronlar, miners told me, are usually people with close links to the company, and the çavuşlar are usually their friends or relatives. The only people who are not positively incentivised to work harder are the miners themselves. On the contrary, they are negatively incentivised, have almost no job security, and work in a climate of constant fear that has been excellently described by Constanze Letsch in her piece cited earlier. Accounts of how much miners were paid have differed, but almost all of those I spoke to said they received 1,300TL a month as a base wage. This included six days off, four of which were Sundays when the mine was closed anyway, and two of which were floating holidays that could be taken at any time in the month. If miners chose not to take these holidays, they would receive a bonus of 200TL. Every miner I spoke to said that the union set up to represent the workers was in the pocket of the company. Several told me that when union elections were held—which were run by the company itself—there were be a single, company approved candidate on the ballot. The company itself took no responsibility for paying workers who were injured. Alkan Uslu, 35, from Elmadere, broke his leg at the coalface in an accident he said was due to an error by a fellow worker. He has been unable to recoup any of his lost earnings in the month since the accident. A month after he returns to work, he will be able to start a legal application to recoup the money through his social security. In the meantime, in order to support his family, he has been forced to send his two teenage sons to work as casual farm labourers. He and many other miners said that they had fallen deeply into debt in recent years because banks had started offering them credit cards after they worked in the mine. Many were, as Aaron Stein aptly put it in the podcast the other day ‘indentured servants to their credit card bills’. There is something that needs to be borne in mind when reading the foregoing. Many of the people from whom I collected these interviews had only recently carried the bodies of their dead friends from the mouth of the Eynez mine. Many had lost family members. And yet it was immediately apparent when speaking to them that they had much more to talk about than the tragic circumstances that led to this loss or the immediate issue of safety at the mine. For the first time ever, they had a willing audience that would listen to the miserable and demeaning reality of their everyday lives, their utter lack of value within the system in which they laboured. Only 78 out of 539 parliamentarians attended, according to T24. This seems scarcely credible to me, although T24 is a relatively reliable news source. If it is true, then it’s a far bigger insult to the Soma victims and their families than anything Erdoğan or his entourage have said or done. On the national level, there is not much to say at the moment about how close Soma Holding may have been to the AKP government, other than to point out that it was one of a coterie of companies to soar from obscurity over the past decade by benefiting from privatizations, for which cozy links to the government are all but a given. According to Radikal, it has won some 60-70bn TL of state contracts in a period of seven years. It’s also branched out–without much prior experience–into Istanbul’s construction sector. It appears that in Turkey’s impeccably impartial public tendering system, fortune has shone on Soma Holding. Meanwhile, Soma Coal Enterprises was entwined with the AKP on a local level, and it is very hard to logically suggest otherwise. One incident that I tried to investigate in detail involved an election rally held by Erdoğan in Manisa on March 16. Every miner I have spoken to has said that workers from the Soma mines attended the rally (it was on a Sunday). Three miners independently told me that they had attended under some form of duress. They were picked up by company buses from their home towns, and according to two men, both of whom said they feared they would lose their jobs if they didn’t go, they were each handed 50TL, roughly the equivalent of a day’s wages, once they got on the bus. The most useful interviewee in this regard was Sefa Köken. It’s worth noting that what he told me was significantly different from his comments on CNNTürk a few days later, where he said: “Everybody has to go, to take a party flag in their hand and wave it at the rally.” If the interviewer had dwelt on the issue perhaps Köken would have clarified or qualified this statement, because earlier he had described something quite different to me. He had said that known non-AKP supporters were not forced to go to the rally, but that the pressure was entirely “psychological”. Miners from Kinik, a generally Alevi and anti-AKP area, for example, did not go. “Probably 80% of the people who went wanted to go,” he told me. “Another 10% just went for the money, and another 10% went just because of the pressure.” Nonetheless, his comments were contradicted by those of the miners who I met on separate occasions who said they went unwillingly (see my Newsweek piece out today, and the Times last week). Though some did claim they were ‘forced’ to go, it seems that the miners were (for a change) positively incentivised, and any threat was subtle or implied. Of course, just because the mine’s owners were campaigning for the AKP, doesn’t mean they were linked to them. 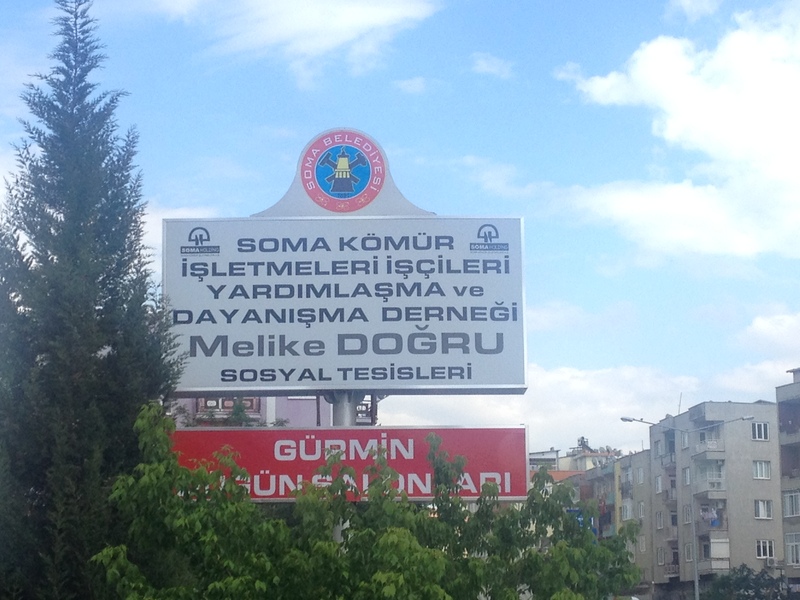 A drive along the main highway through Soma, however, reveals the billboard pictured above, sponsored by the AKP-controlled Soma Municipality: “Soma Coal Enterprises Workers Assistance and Solidarity Association; Melike Doğru Social Facilities.” Melike Doğru is the wife of the mine’s general manager, Ramazan Doğru. In the March elections, she stood and was elected as a local councillor in the Manisa parliament on the AKP’s ticket. I had another memorable exchange with a group of AKP supporters at a café in Avdan. We were having a friendly interview up until the point when I asked them whether the Soma mine operated a taşeron system (none of them worked at the mine and only one was a miner). The atmosphere immediately tensed, and they all uneasily but vehemently denied it. I’m not exactly sure why they did this, although it could simply have been due to the fact that the system does lie in a kind of legal grey area. I note that Alp Gürkan himself had denied that Soma used the taşeron system a day or two earlier. That claim was, quite simply, a lie. I spent a morning in the village of Elmadere, where out of a total population of about 550, 80% of the men of working age were employed by Soma. Eleven of them died on May 13. It was perhaps the most stunningly beautiful place I’ve ever been in Turkey. The people told me that they caught fish from the little river that quietly burbled beneath the village and used to farm tobacco, wheat, and livestock before those industries collapsed in the early 2000’s and they turned to mining. It was hard to reconcile the paradise these people inhabited above ground with the hell they were working in below. I was shocked to learn from the local mukhtar, Dürmüş Yıldırım, that since the Soma tragedy no official from either the local AKP-controlled municipality of Kınık or the AKP-controlled provincial municipality of Manisa had visited Elmadere or contacted the village in any way, despite the fact that, as a proportion of the total population, it was probably the worst hit of any community. He listed some seven or eight CHP-controlled municipalities from around the country that had sent aid or visited, and one MHP delegation. No AKP municipality had visited. The reason for this, he believed, was that Elmadere, an Alevi-populated village, had routinely voted for the CHP. In the recent March 30 elections, the AKP had one control of the local Kınık municipality after the CHP deselected its incumbent mayor in favour of some ‘young blood’. The incumbent ran on the ticket of the Democratic Party, split the CHP vote, and the AKP won. Several villagers told me that in the lead up to the election the AKP challenger had visited Elmadere and warned them that if they did not deliver him at least 100 votes, he would cut municipal services to the village. In the wake of the election the village had submitted an application to renew its cemevi (Alevi house of worship) and been refused, being told, “you didn’t vote for us, so you won’t get it.” Kınık Municipality has refused to comment. A week wasn’t nearly enough time in the Soma region. If I had stayed longer I would have visited some Sunni villages and enquired about which municipalities had visited them, and who had given aid. If the aid effort has become politicised then that would be deeply worrying. Indeed, it reminded me of the last major disaster I covered in Turkey, the Van earthquake of October 2011. Back then, Erdoğan excluded the BDP from the aid effort, despite their repeated pleas to be included (they ended up mounting their own independent aid effort). He then sought to vilify them as not caring. On that occasion, I was disgusted by the way he played politics with a tragedy. I did not think that their anger was of a degree that would change their votes at the next election, however, and this even in the immediate region where the tragedy took place, and after the most luridly bad PR performance the government has ever given. Consider this as well: the CHP had a strong record on this issue. 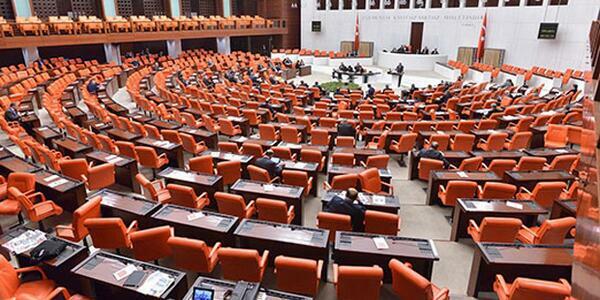 It had raised a motion in Parliament that was thwarted by the AKP only 20 days before the tragedy. In 2010, Kemal Kilicdaroglu, after recently becoming leader of the CHP, even spent New Year’s Eve visiting miners inside one of the Soma pits. In Turkey’s political scene, which is almost entirely based on broad narratives rather than facts or details, this record counts for almost nothing. I read recently that Turkey’s police are soon to buy new, bullet-proof TOMAs. In political terms, Turkey’s government already looks pretty bulletproof to me. They approached a phalanx of riot police that were guarding the main square in the town. The protesters were tough-looking men, some I had spoken to and knew that they were the same people who had been pulled out of the Soma mine only days earlier, or had pulled their friends out. A very familiar scene ensued in which a peaceful majority sought to hold back an angry minority who wanted to confront the police. Then something extraordinary happened: the police lines parted and the men passed through, clapping and cheering, into the square. They gathered there and debated among themselves what to do next. First they held a minute’s silence for the dead, then they sung the Turkish national anthem, then they set off marching again. A few minutes later, a surprising figure turned up: Metin Feyzioğlu, head of the Chamber of Bar Associations, who had recently shot to fame (or notoriety) for a speech that angered Erdoğan. 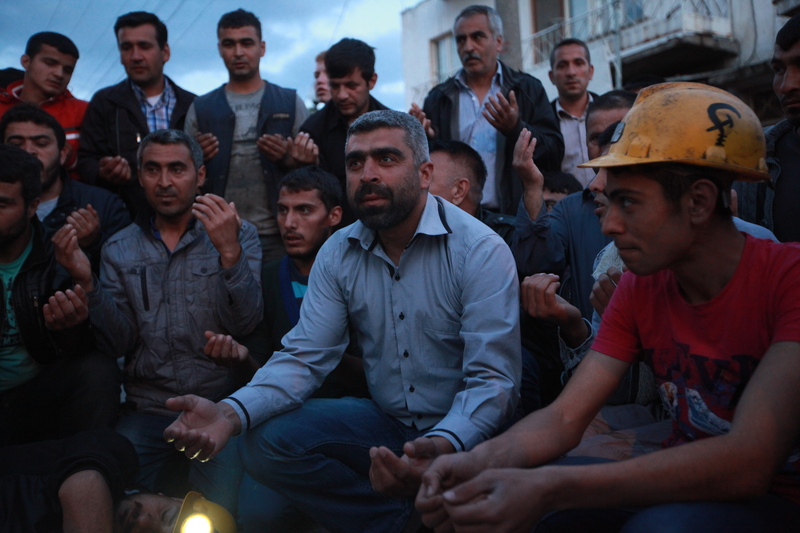 He spoke to the miners and told them how Turkey’s lawyers “felt their pain” and would offer them free legal advice. They listened respectfully, until one young woman stood up and asked politely if she could ask a question. “Of course,” Feyzioglu replied. Pointing at him, she then shouted that he had represented a man who had killed his own girlfriend, and so she could never support him. 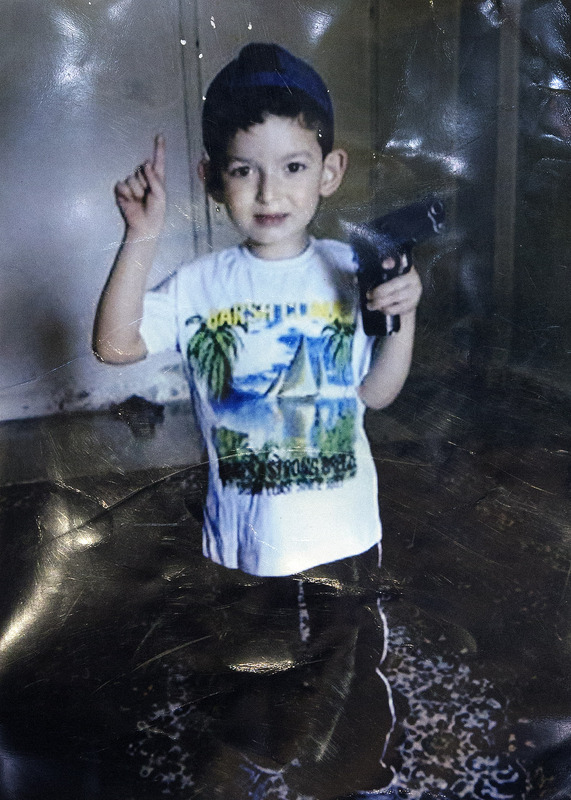 Feyzioglu’s response was lost in an uproar of shouting as others remonstrated with the girl. Moments later he and his entourage scuttled off to a pair of Mercedes and high-tailed it away. It was moment that seemed to mirror Erdoğan’s own departure from Soma only a few days earlier. Afterwards, the crowd carried on marching along random streets around the city centre, apparently in loops and circles. Some wanted to confront the police, others managed to pull them away. That’s how I left them: wandering round the town, not sure where to go next. It seemed a fitting metaphor for the state of Turkey’s opposition.